Studying myself in the mirror these days, it's hard not to notice the jungle of hairs in my nasal cavities. They're prolific, and they're getting bolder too. I caught a few the other day sneaking ever further downward, trying to disguise themselves as mustache. I don't tell you this because I think you're fascinated with nose hair (though I certainly won't judge you if you are), I mention this only to illustrate the unintentional theme of this year, which seems to be "getting older." Yes, between listening to NPR on my way to and from my 8-5 job, and doing household tasks like raking the leaves and cleaning out the gutters on my new house, I'm feeling more and more like an old man, and it doesn't help that I'm now halfway to 50 years old. Luckily, I can still pretend I'm young and hip by tweeting on Twitter. That's the "micro-blogging" web service that exploded into pop culture this year, and now even the old folks like CNN and my mother are using it regularly. It seems the world only wants information now if it comes to them in 140 characters or less. So I've decided to embrace it and write the Christmas letter using this series of fake and informative tweets. Be forewarned: like Twitter, not all of these "tweets" below are substantive or appropriate. Re-tweet if you like it. 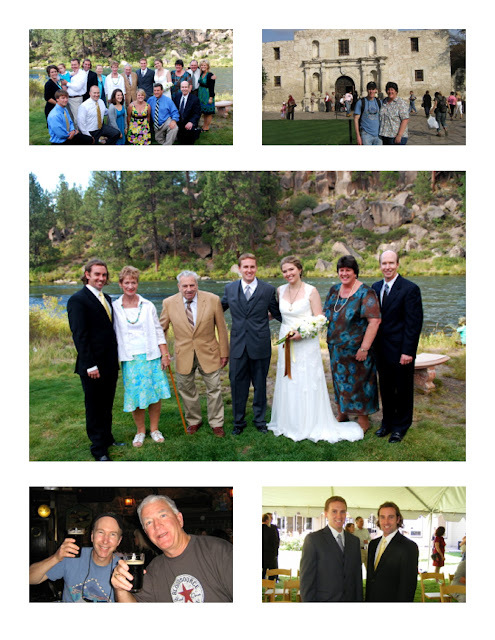 Merry Christmas and happy holidays, from all of ours to all of yours. P.S. Not all of us are actually on Twitter, but we are all on Facebook. Let's be friends. Having been surrounded almost all my life by people with a not-so-rare condition called "persistent and chronic tardiness," I've become a sort of expert on deciphering their language. In case you are wondering -- your boss at work who keeps you later because he didn't get there until 10, or that friend who rolls up at 5:30 when you were supposed to meet at 5 -- these people aren't going to change. They're not going to wake up one day and think, "I'd like to make an improvement in my life that will directly and positively affect the most people around me. 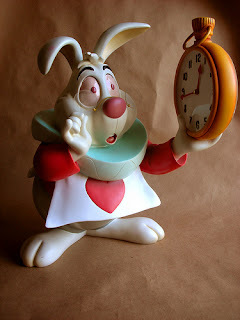 I know, I'll start being punctual!" No, these people will probably be late for their own funerals. So the best way to deal with them is just to learn their language. "I'm thinking about leaving in the next half hour. And yes, I know I was supposed to be there an hour ago." "Why don't I swing by later?" "At one point I intended to make it there at the specified time, but as soon as I got out of bed this morning I knew it would be a wash."
"Wait, what time does this start?" "I know the event is already over. I'm not coming." "I'm just heading out the door now." "I just need to finish a few things up and I'll be there. 10 minutes, tops." "There are approximately 6 stops I have to make before getting to you. And they're all over town." "I'm running a little bit late." "This is the truth. I really am actually only running a little bit late." "Just getting ready to go." "I'll be there anywhere from 5 minutes to 2 hours." We got a Wii machine as a gift for our wedding a few months back, and I've been having fun tinkering with it and playing all sorts of games on it. Just read about how to play the original Duck Hunt on the Wii, so I was giving that the old college try. It's fun, but definitely not the same. I have fond memories of playing Duck Hunt and holding the gun right up against the TV to "cheat," and still not being able to get past level 10 or so when grandpa, who hunts real ducks with real guns, came along, grabbed the gun, and wasted ducks like he was Rambo and killing was going out of style. 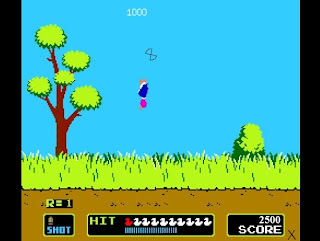 However, something occurred to me while playing this new version on the Wii... How the heck did the original Duck Hunt work? This was the early 80s, before the iPod, before the World Wide Web, and before Jamaica had a bobsled team. We didn't have the cool techno-craziness we do now where we can push a button on our phones and cook dinner, mow the lawn and flush the toilet at the same time. We just had a big gray box called a Nintendo Entertainment System and an orange gun that looked like it belonged in a cartoon version of "Star Wars." You think you're using the gun to shoot at the TV, right? But really the TV is shooting the gun. It's when I find out about something like this -- a simple, yet ingenious trick that provided endless entertainment throughout my childhood and adult life -- that I wonder to myself if we as a species just aren't as creative as we used to be. Important information for world travelers! Fewer than one in eight British men and just three in 20 women who have applied to BeautifulPeople.com have been accepted, an emailed statement from the website showed. 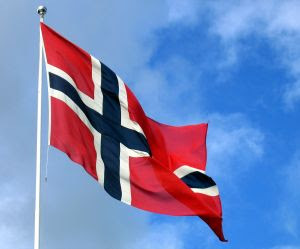 Swedish men have proved the most successful, with 65 percent being accepted, while Norwegian women are considered the most beautiful with 76 percent accepted, the website said. German chicks are cute. British chicks are attractive. Italian chicks are hot. Spanish chicks are hotter. Swedish chicks are hottest. And Scottish chicks are downright ugly. Based on this information, one of two conclusions can be drawn. A. I must have seen a disproportionate number of attractive British women during my brief passes through. 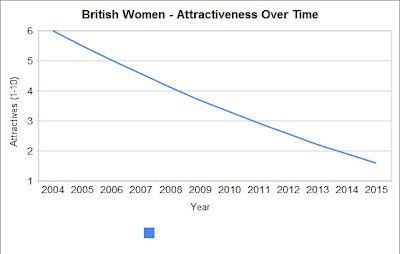 B. British women has devolved and become less attractive in the last 5 years. In conclusion, it's not a good time to be British. Greetings from 11-year-old Mark J. Lehman! I've been doing a lot of packing, moving, organizing, and going through old stuff lately because I've had a few life changes (more on that in later posts). However, I came upon a gem when I was cleaning out my closet: an old journal from 6th grade. My 6th grade teacher use to schedule journaling sessions every so often, and being a 6th grade boy, it seems my journaling was only used as a channel to air my grievances about the unfairness of life. I like hamsters because they’re cute and furry. Whenever you get bored you can hold them and pet them. Most of them are really nice. I had two but they both died of the same disease. I think the technical medical term for that disease was the "silent killer." Just goes to show, I suppose. Stay tuned for more entries from my 6th grade journal.